Dipti Joshi is in her mid-thirties. She is loving wife and mom to 11-year-old daughter. Life was going perfect till she was diagnosed with Scleroderma in 2015. Scleroderma is a rare autoimmune condition in which the body produces too much collagen, causing the skin and connective tissue to thicken. She has been going through regular treatment so far however her condition has worsened in last one month. Scleroderma has affected her lungs and heart. 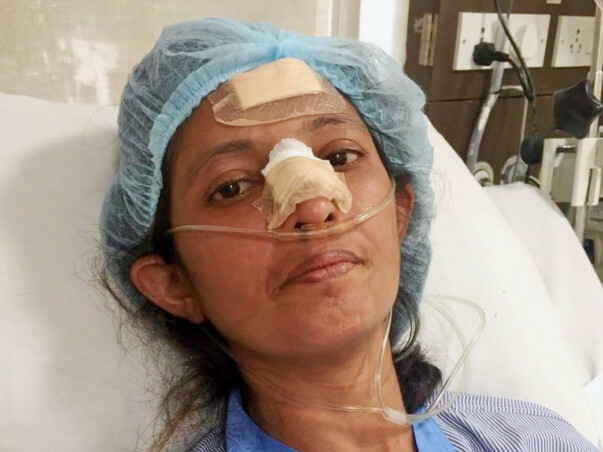 She has been admitted to ICU at Fortis hospital (Mumbai). Doctors have recommended heart and lung transplant in order to save her life. Nimesh Joshi (Dipti's husband) works as sales executive at Vodafone and has exhausted all his savings and medical insurance in her treatment so far. Managing cost of her medical expenses is now our of his capacity and is now seeking help. Just medicines, oxygen and physiotherapy cost the family Rs. 1,00,000/month. Dipti ends up in the hospital most of the time because of complications, adding to the expenses. She has no option but to get a heart and lung transplant as soon as possible. The only way she can live the rest of her life is if she gets some help. 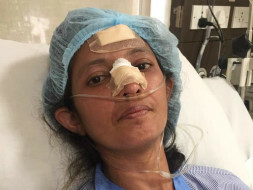 With God grace and prayers of everyone Dipti is stable.